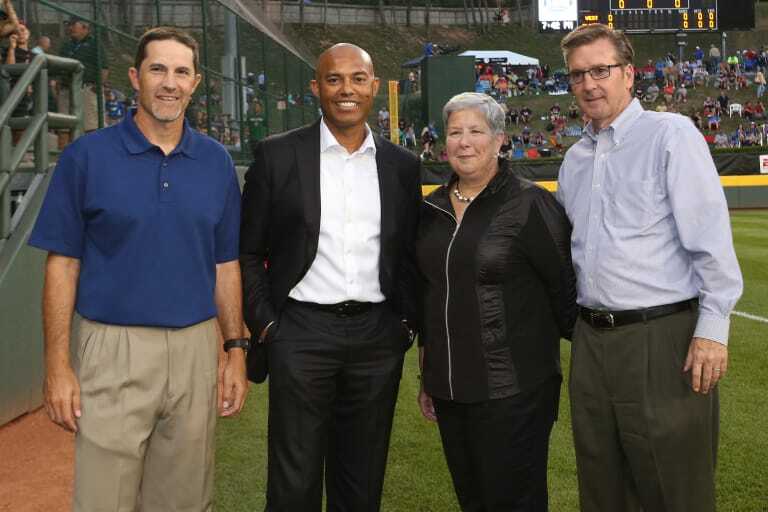 Mariano Rivera receives the Little League® Hall of Excellence Award. 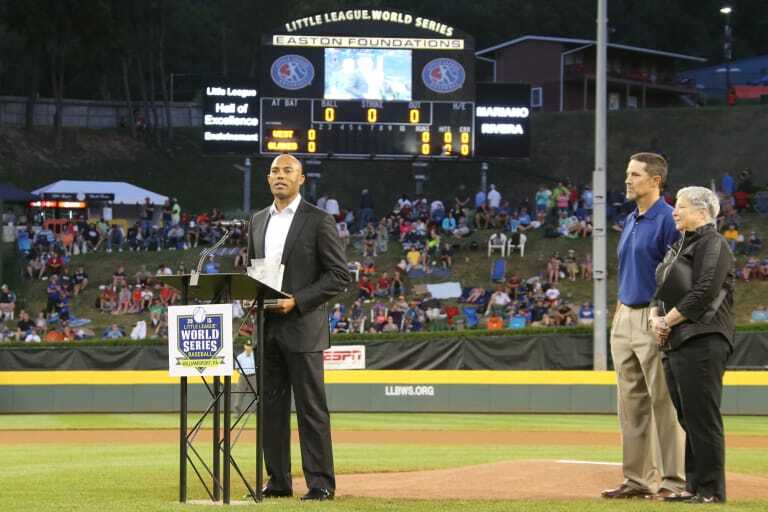 Mariano Rivera is enshrined into the Little League® Hall of Excellence. 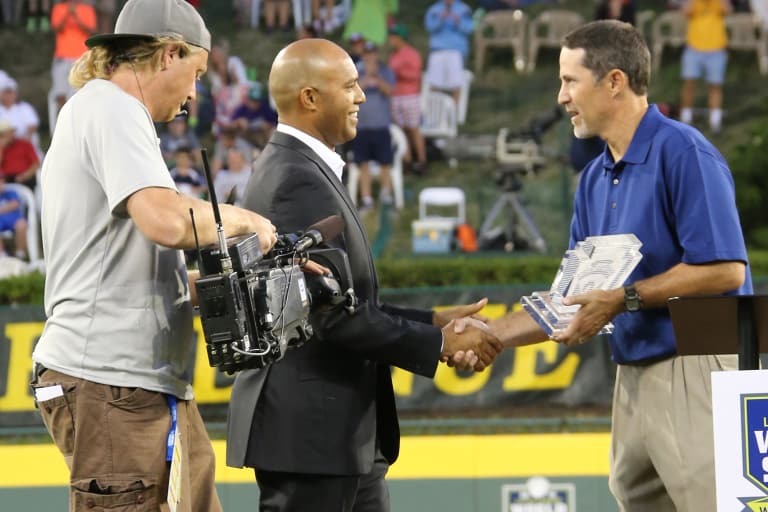 Mariano Rivera receives the Little League® Hall of Excellence Award from Mike Mussina. 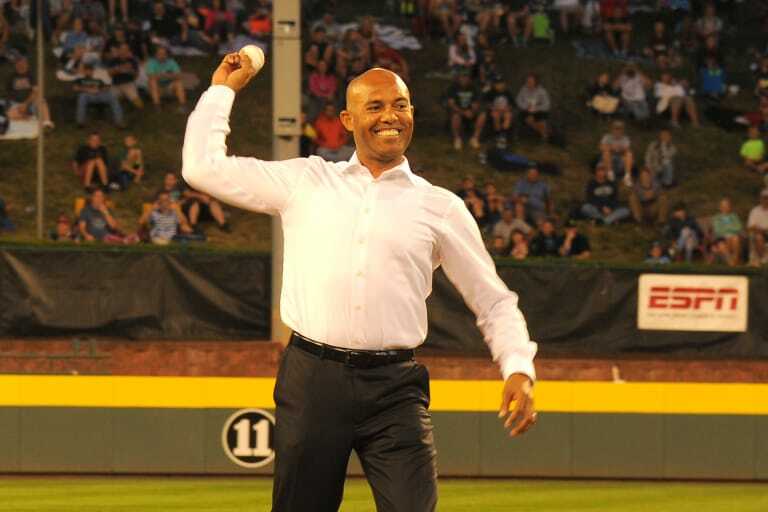 Mariano Rivera throws out the ceremonial first pitch. Mariano Rivera with the 2015 Little League Baseball® World Series Latin America Region team. 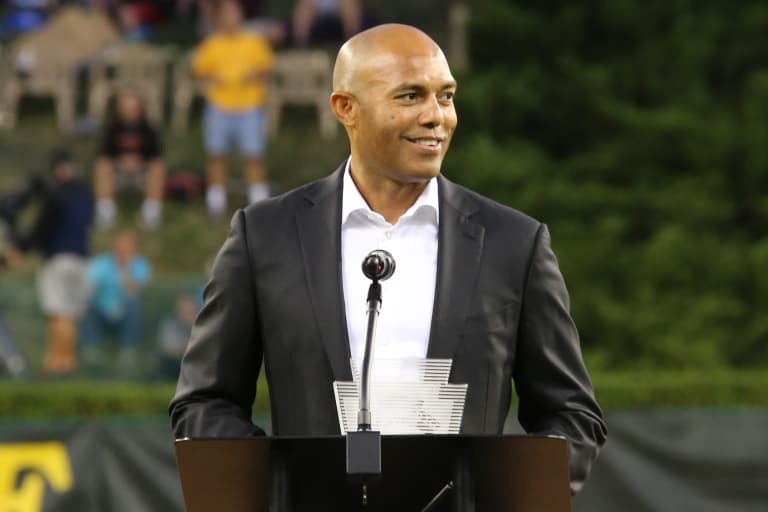 New York Yankees legendary closer and Little League® Hall of Excellence enshrinee Mariano Rivera will receive his iconic bronze plaque this summer as he has officially been named a member of the 2019 National Baseball Hall of Fame Class by the Baseball Writers’ Association of America. Mr. Rivera will join fellow inductees and former Little Leaguers, Roy Halladay, Edgar Martinez, and Mike Mussina, as well as Today’s Game Era ballot winners, Harold Baines and Lee Smith, in this year’s induction. When Mariano Rivera started playing Little League Baseball® at Barrio Colon Little League in La Chorrea, Panama, in the 1980s, no one knew that he would go on to become the most dominant, prolific closing pitcher in Major League Baseball History. In addition to his pitching accomplishments, Mr. Rivera was known for his mental toughness and for helping mentor young pitchers. Through his foundation, he has donated thousands of dollars in support of education opportunities for children in the United States and Panama, through church-based institutions.